Lincolns are luxurious vehicles, but even impressive vehicles like the Continental and the Navigator can pick up a variety of dents and dings as you travel. Fortunately, there’s no need to go to the body shop to fix these. 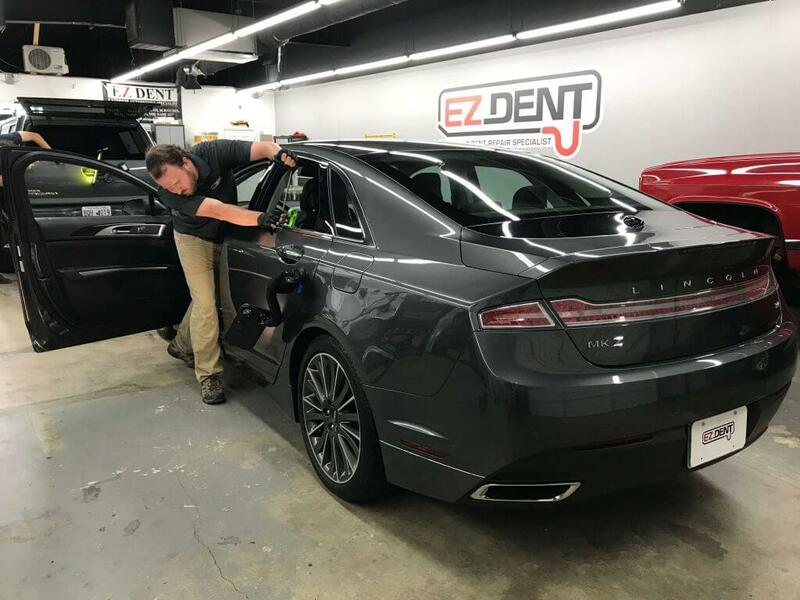 EZ Dent, serving Athens and North Georgia, is your expert in a Paintless Dent Removal (PDR) process that will fix the damage to your vehicle while maintaining the factory sealed paint. This is the same technique that many dealerships use for vehicles on their lots. In most cases, PDR is also the best way to get your dented vehicle looking like new again. Our service is focused entirely on fixing dents in your vehicle, so you don’t have to worry about surprise charges or attempts to sell you products that you don’t need. After we’ve had a chance to look at photos of the damage, our technicians will set up an appointment at a time that works for you. Our shop specializes exclusively on exterior repairs, so we can give firm estimates in addition to providing a comfortable and versatile waiting area. Our well-trained technicians can get most repair jobs done in one hour or less. Severe cases – like multiple large dents or many small ones – may take a little longer to fix. We don’t think any part of our process should be a surprise, so we’ll give you a more accurate estimate before you set your appointment. *Disclaimer – EZ Dent is not affiliated with Lincoln or authorized Lincoln dealerships. To get an estimate, obtain more information, or find out when we’re available to help you, contact EZ Dent today.